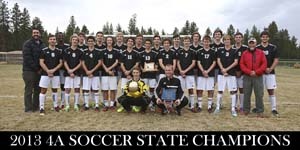 Despite being one of the smallest 4A schools, Sisters High School repeatedly produces state champions in football, soccer, lacrosse, volleyball, golf, swimming, cross-country and track. Supported in part by the Sisters High School Outlaw Booster Club, Friday night football games, varsity baseball, volleyball, lacrosse and more are certainly a community event! Tim Roth, Athletic Director from Sisters High School is proud to say: "We purposefully categorize Sisters Athletics as "co-curricular" not "extra-curricular" because, as a coaching staff, our goal is to be an integral part of the teaching mission of our school. Our coaches believe that their work is an extension of the classroom." Click here to be re-directed to the Outlaw Athletics Home Page to learn more.